Some have called it one of the healthiest foods in the world. In the eighth century Charlemagne was such a strong believer in its benefits that his subjects were required to eat it. Nutritionally unique, flax seed (also known as linseed) grants us health benefits that no other seed food can provide. Among its many benefits, flax seed encourages weight loss, improves menopausal symptoms, and may help reduce the risk of heart disease, cancer, stroke and diabetes. Flax seed has been highly touted for its use in weight loss, particularly around that troublesome belly region. A 2012 study at Harvard University showed that participants who ate flax seed lost 37 % more than those who did not! Taken with meals, the high fiber content of flax seed (it’s 25 percent fiber) helps those who eat it to feel full and satisfied longer. Easy to add to a meal, the tasty, nut flavored seeds can simply be sprinkled on soups, salads, in yogurt or on oatmeal. Just be sure to use ground, rather than whole seeds, as the whole seeds pass through one’s system undigested, taking all the health benefits with them. Besides the benefit of feeling full, flax seed dissolves unhealthy fats from the food in the digestive tract, then the soluble fiber in it forms a gel, trapping these fats so they can be eliminated instead of stored as fat. In addition, toxic metabolic waste is removed from the colon, while friendly bacteria growth is promoted. 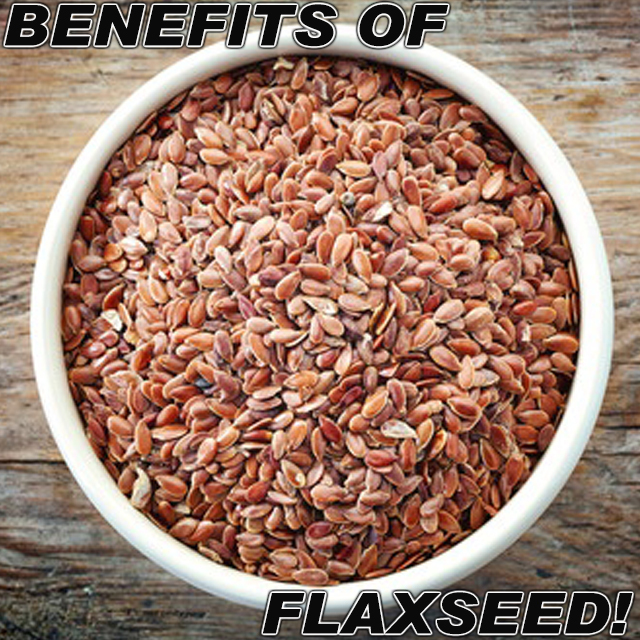 Flax seed has three principal components of benefit to us. The most important is its high omega-3 fatty acid content (a good fat). In fact, flax seed earns the title of the Number One source of omega 3 fatty acid or ALA (alpha linolenic acid). It contains lignans, (a source of plant estrogen which also possess antioxidant qualities), and has both soluble and insoluble fiber. The ALA in flax seeds helps prevent excessive inflammation in the circulatory system, creates a steady rhythm in the heartbeat and lowers blood pressure. In addition, studies done on animals showed that ALA inhibits tumor incidence and growth. Lignans are fiber-like compounds that provide a host of benefits. These lignans inhibit plaque from forming in the circulatory system, which helps prevent heart attack and strokes, and improve blood sugar levels as well as lowering LDL (the bad cholesterol) levels. In addition lignans function as weak estrogens, and menopausal women taking flax seed have reported fewer, milder hot flashes. As if that weren’t enough, the lignans may also help prevent cancer! Either golden or brown flax seed is fine to use. Just don’t use flax oil for a substitute, as it doesn’t contain all the components of flax seed. Flax seed is gluten free, making it fine for use with those who suffer from wheat allergies. Ground flax seed should be frozen until use. Whole flax seed can be stored at room temperature for up to a year before being ground for use. For picky eaters, it’s easy to sneak flax seed into a meal. Just add it to meatloaf, beef stew, or chili, and they will never notice. Flax seed can be used in baked goods such as muffin, cookie, and bread recipes, another good way to add it into the diet. Luckily it can be baked without losing significant amounts of ALA.
No matter what your weight, or health status, eating flax seeds can help improve it. Charlemagne was right. Nutritious and delicious, flax seeds should have a place in every diet. Maspeth Martial Arts – Kickboxing popular and intense Kickboxing class provides benefits for the body and mind in a variety of ways. Call Us At (718) 255-1993 Or Simply Register online at www.maspethmartialarts.com to try our program for as low as $19.99.